I had the chance to do some crafting despite having just moved to a new house and all my crap are still in boxes. 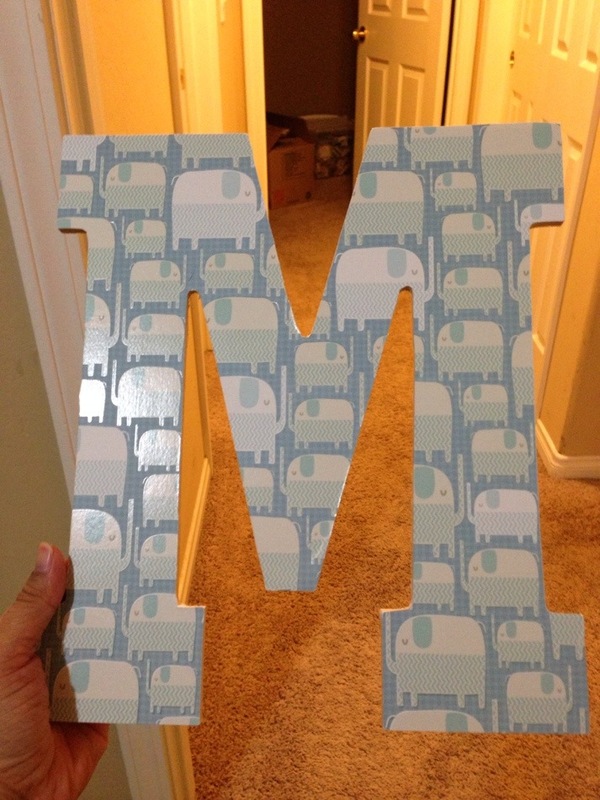 Anyway I got this wooden letter from Michaels for $3.99. I saw this idea while browsing on Pinterest (who hasn’t gotten ideas from there anyway?). I picked a paper from one of my baby themed paper packs and mod podged it to the wood. After impatiently waiting for it to dry, I got my Xacto knife and trimmed the excess paper. Then I sanded the sides to smoothen it. Instant nursery decor. Very easy to do. 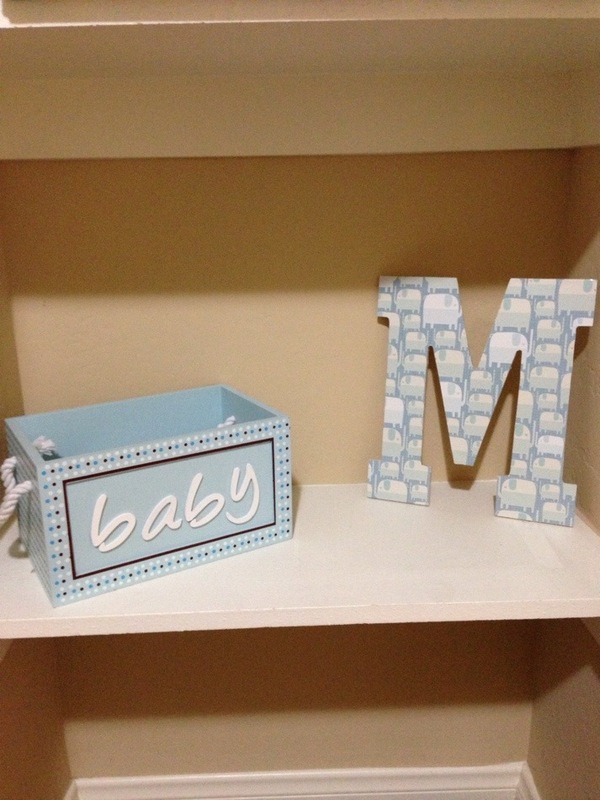 This entry was tagged baby, baby room, Crafts, decoupage, DIY, initial, letter, mod lodge, scrapbook paper, wood. Bookmark the permalink.